Last weekend, it was indeed a a glorious event for fanboys and fangirls alike, as for the first time ever, FINALLY! 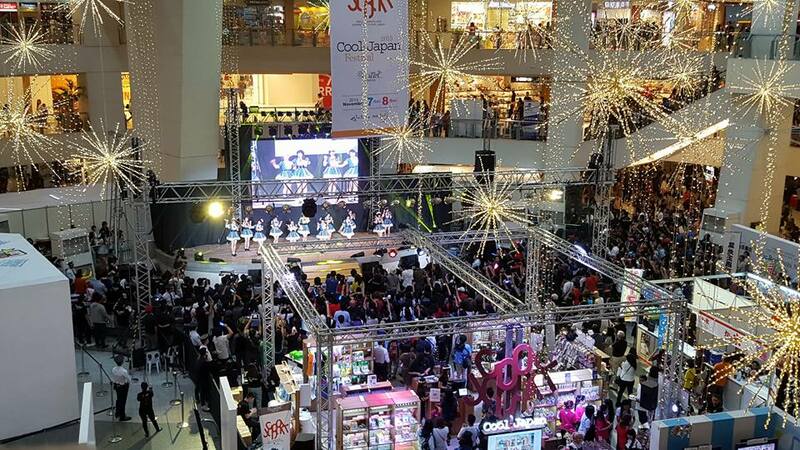 AKB48 made their much awaited visit to the Philippine shores to perform at TriNoma during the Cool Japan Festival! Team 8 is the first to take step in this land full of dreams to be told, and with this, the majority of Oshimen connoisseur hopes to see the rest of Teams A, K, and B visit our shores soon enough. But of course, for every great event, there will always be room for improvement as an event of first is surely not perfect and may still have their flaws. Clearly not the best place to hold an event such as this one. We’re talking about Japanese Idols here, one that men of all ages would surely declare war just to meet them in person. Also, this event being located in one of the Northern Metro area’s famous malls, it was indeed HARD for Team 8 to dash to another famous mall in the Southern Metro to enjoy their stay. It would be wiser to put it somewhere in the middle of everything or if majority of the spots Team 8 are planning to take a glimpse of would be located in the Southern Metro, at least put the event there. Not to be cranky about it, but mahgahd. It was effin’ cramped up! Well yeah, everyone expected that already since this is somewhat a J-Pop idol event, but why in the world would you cut up a medium-sized area to put a crowd front and some booths at the back? Why?!! Analyzing the second picture below, the area below the escalator was already clogged up from the fanboys and girls, it was almost impossible to move around. Now, take note that this is a SATURDAY and malls have the highest foot-traffic at this time. Yep, terrible mall traffic. Oh and don’t forget the queues for food and merchandise from the Cool Japan stalls. 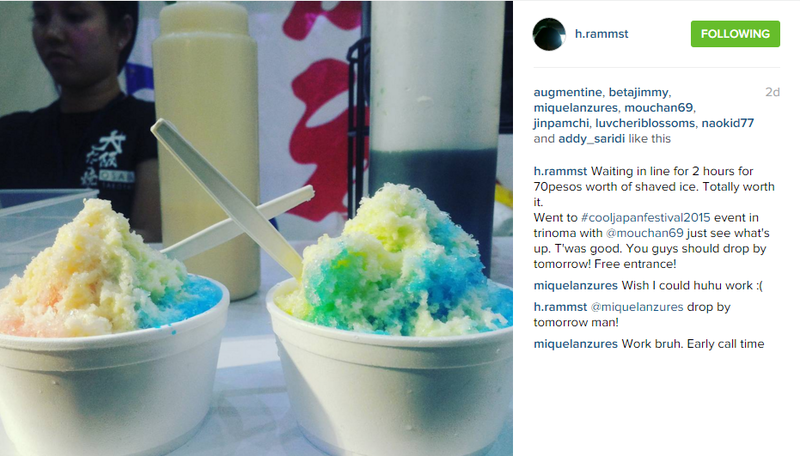 Man, you’re dearly lucky if you had the chance to taste their Kakigori; 2 hours and counting just so you can get one! Tiny space, lots of booths, huge crowd. Talk about cramped! This one is by far, the most crucial flaw for Cool Japan Festival: limiting the event to 200 people only. Dear lawd, 200 fanboys and girls only?!! I mean yeah, it’s economical considering you would be able to put up your booths, and fix the floor plan easily but again. One word: C-R-O-W-D. An event is nothing without the crowd, if it was a maximized as a factor for the event, then surely this event would even be more Boombastic than ever! And imagine the disappointment of the rest of the fans of Team 8 andAkishibu Project, as well as all the Japanophiles who came from various parts of the Metro when they were told they couldn’t go inside because the crowd limit has been reached! Not cool at all. DON’T MISS: Tokyo Game Show 2017: Most Anticipated Games! All in all, we at WAG still think that Cool Japan Festival 2015 is one-heck of an event! We surely are looking forward to the next one, probably with a bigger venue and a lot of improvements!